Being in the pest control business in Temecula, we’ve heard this phrase and variations of it many times. But is it true? Well, yes and no. The ants you’ll most often find in Temecula are the Argentine ant species. They originated in—you guessed it—Argentina. They likely came to the United States by boat in the late 1800s. They were first discovered in the United States in New Orleans in 1891 and made their way to California from there, probably on railroad cars taking produce to the west coast. Argentine ants thrive in Mediterranean climates, so once they landed in California, they began to take over. They were able to eliminate other species of native ants and become the dominant species in California. According to an article in the San Diego Tribune, 95% of the ants along the coast are now Argentine ants, and an estimated 80% of the ants in the inland areas like Temecula, Murrieta, and Fallbrook are Argentines. California Argentine ants make up what is called the Very Large Colony or the California Large. This single colony of ants stretches from San Diego to past San Francisco, and the members of this colony may number in the trillions! The reason this colony has grown so large is that Argentine ants are not territorial. They are generally tolerant of one another and don’t attack other ants of the same species. As such, their colony has grown and is now one of the largest of any insect species on earth! So, was Temecula built on an ant colony? Yes. But so were most of the other cities throughout the state. We may be more aware of them here than residents in coastal areas because it is drier in Temecula and Murrieta. Since Argentines need food and water to survive, they often come looking for it in our homes and yards, since it isn’t readily available in undeveloped areas. Because the colony of Argentine ants in California is so large, it makes them especially difficult to control. Typically, in a small colony of ants, when you kill the queen ant, the colony eventually dies off. But when a colony has many, many queen ants, like the Argentine colony of ants does, killing one queen ant doesn’t take care of the problem. 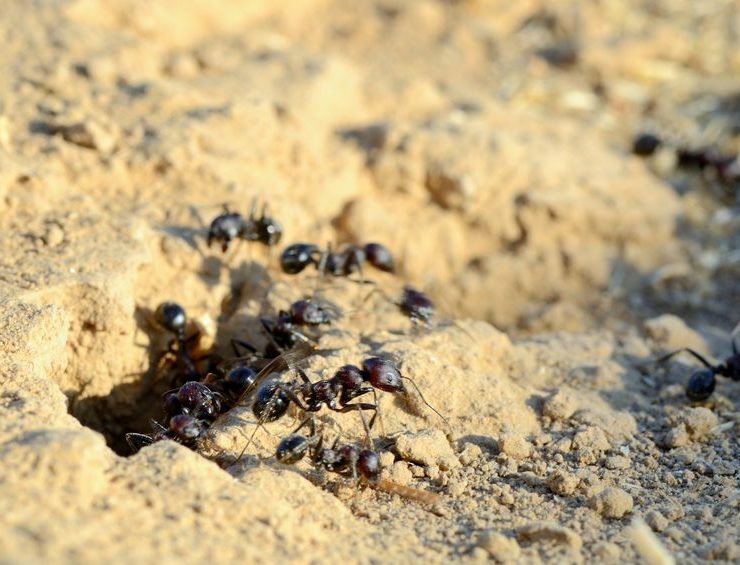 Controlling Argentine ants in Temecula requires consistent pest control treatment. Spraying once a year won’t keep them at bay, and DIY pest control methods do very little to control Argentine ants. If you want to control the ants in your Temecula home or at your place of business, you need to work with an experienced, professional pest control company like Knockout Pest Control in Temecula.